Too Good To Go is a social enterprise dedicated to reducing food waste. 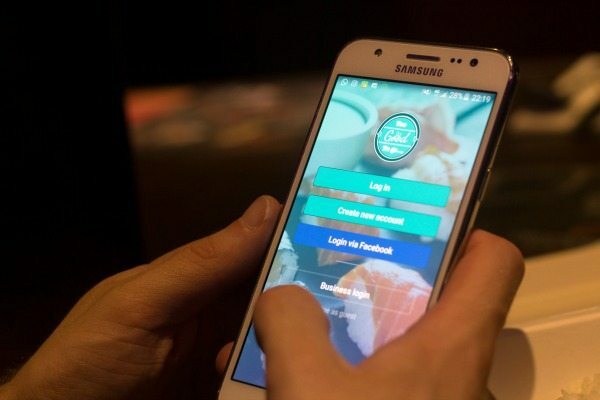 The idea is that through using their app you can order delicious food that would otherwise be thrown away from prices as little as £2 up to £3.80. There are many delicious Brighton-based eateries that provide this service including the sleek and stylish Japanese restaurant Moshimo, the trendy Cafe Plenty and the authentic South Indian Curry Leaf Cafe. You can even stock up on your weekly bread supply from Real Patisserie! Too Good To Go was founded in Denmark at the end of 2015 by a group of friends, and fast grew internationally, spreading over to the UK where it resides in Brighton, Leeds and London, and as of July 2016 TGTG has foundations in nine different countries, so they’re well on their way to helping minimise food waste in the public food sector! All you have to do is use the TGTG app, choose which venue you’d like to pick up from, place an order and pay, so when you get to the venue you just collect some delicious inexpensive food whilst helping minimise food waste! Here’s a list of the places in Brighton that have joined with TGTG so far, I’m sure there will be many more to come. FilFil North Laine Falafel Co. So, my mission was to visit five TGTG venues of my choice around Brighton and review my experience. Here we go! First up, the award winning Curry Leaf Cafe, with its kiosk positioned at Brighton train station (you can’t miss it). 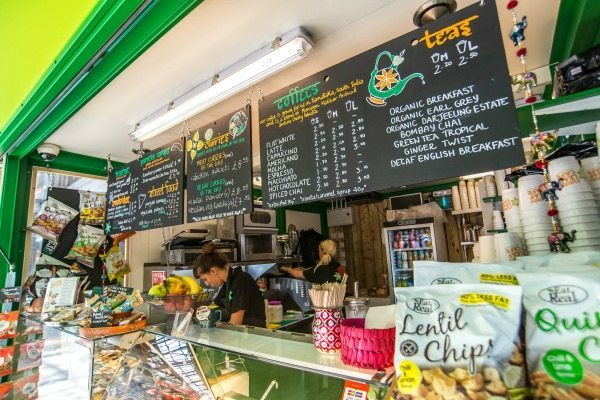 Curry Leaf have two cafes in town along with its street food stall at Brighton train station and is inspired by the food found at Indian train stations. It’s perfect for travellers looking for a tasty meal! 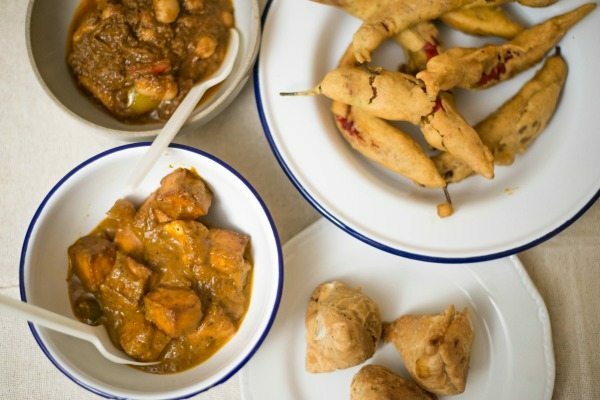 From the Curry Leaf expect to receive spiced daals and soups of the day, sandwiches (grilled tandoor chicken, paneer, vegetable), expertly spiced curries and rice, and street food classics such as bhajis, pakoras and samosas. I ordered my food earlier on in the day. I’d suggest when ordering on TGTG, the earlier the better if you have your heart set on a venue because they do run out. When I arrived at the Curry Leaf Cafe all I had to do was show them the TGTG receipt on the app where they just swipe to clarify the order has been collected, then take my food and go! It was a little late to sit outside so I took it home with me. I couldn’t wait to get it home because the smell oozing out of the boxes was so tempting. When I got home and opened the boxes, in one box was a rich and tasty Paneer Makhani curry with a selection of Punjabi Samosas and Chilli Bhajis, all for just £3.80 (the curry alone would normally be £8.95). In the second box was an Aloo Chana Masala curry with a selection of bhajis and samosas. These weren’t your ordinary samosas that you find at the supermarkets, they were mini pyramids with a harder pastry around them, jam packed with lots of flavours and vegetables. But the chilli bhajis really stood out because I hadn’t had one before. It was a red chilli stuffed with a sweet and nutty filling, coated in pastry, but watch out as some of these really had a kick to them! For £3.80 we were pretty satisfied, and even though this was bought at a kiosk at the train station the flavours are complex and interesting. You can tell an experienced chef has come up with these recipes which is why I now have to go to the Curry Leaf Cafe in The Lanes to try more of their dishes! 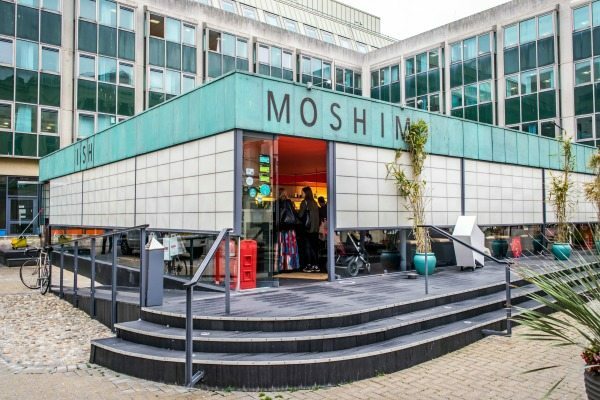 Now we’re taking our culinary tastebuds East, to the Japanese restaurant Moshimo located at Bartholomew Square in the heart of Brighton’s Lanes. Moshimo has been named as “one of three best Japanese Restaurants in the UK” by The Sunday Times. Known for their handmade sushi, and the sustainability of their fish, Moshimo really stood out for me out of all the places I visited for TGTG for its exquisite presentation of its pretty sushi. The fundamental principles of Japanese culinary tradition are applied at Moshimo using the freshest seasonal ingredients to create simple yet bold food. 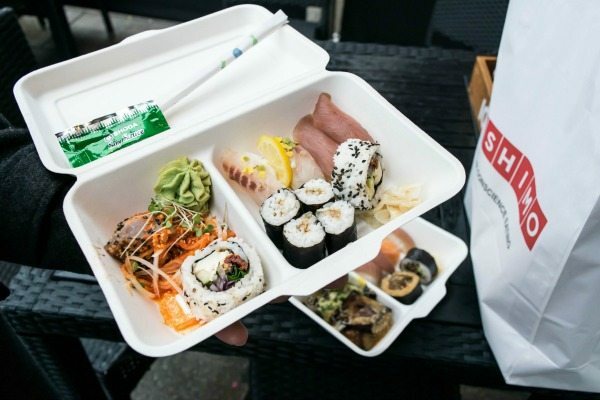 The value for money here is amazing, for just £3.80 you get an expansive selection of handmade, ethically sourced sushi (where usually it would be £14) served in the environmentally-friendly TGTG sugarcane box with chopsticks, a napkin and a sachet of soy sauce all in a Moshimo paper takeaway bag… that’s a pretty good deal! 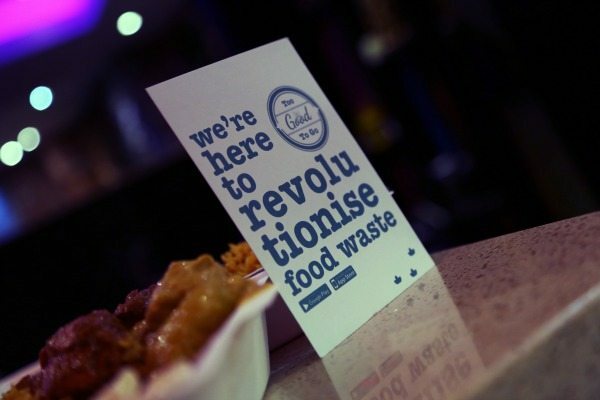 You’re also helping minimise food waste and eating sustainably caught fish. Expect to receive in your surprise box from Moshimo, edible delights from the sushi bar such as: Sashimi, Nigiri Sishi and Maki Sushi Rolls along with other dishes from their expansive menu. Moshimo offer two services on TGTG: there’s Moshimo (Evening) which is generally available form 17:00-18:00 and there’s Moshimo (Night) available 21:30-22:30. I went for the Evening service, and had it not been raining when I picked up my food, I could have sat and ate on their Hiroba deck, which has been designed to emulate the experience of sitting on tatami mats in Japan. The next venue I’ll be talking about is a well known patisserie in Brighton, Real Patisserie. Real Patisserie bakes artisan bread, authentic French patisserie and a range of freshly baked savouries. There are five independently run Real Patisserie shops spread across Brighton & Hove and the Real Patisserie Wholesale is based in the heart of Brighton, from which you collect your TGTG goodie bag. For just £2.50 you might expect to see the likes of traditional breads such as the artisan baguette, white sourdough, chewy brown/white, rye bread and pastries. You can collect your bag of freshly baked goods from the Real Patisserie Bakery Wholesale at New England House on New England Street. Just so you’re aware, they’re on Level 1 and the easiest way to get to it is by taking the outside staircase on the left of New England House. You’ll most likely see a few Real Patisserie vans parked up in the car park at the bottom. I was very pleased with my selection of breads and pastries which included a chewy brown, a ciabatta, a baguette, an apricot danish and a cinnamon whirl. 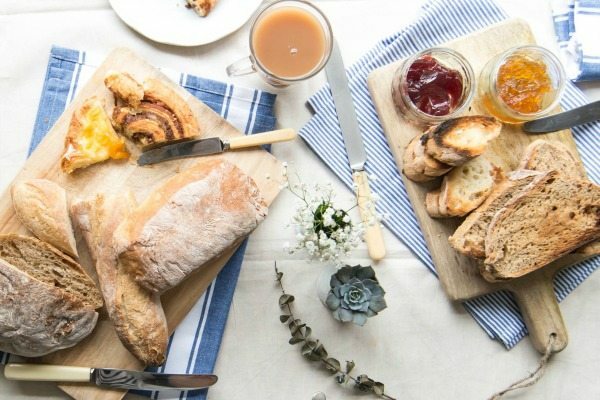 Now you might be thinking, that does sound like quite a lot of bread, but if you slice up what you don’t use and freeze it then you have artisan bread at your fingertips for your breakfast or to make some tasty bruschetta with. I’ll definitely be making a weekly visit to Real Patisserie with the TGTG app! I’ve been hearing a lot of good things about Cafe Plenty recently, and so when I saw they were one of the options on the TGTG app I thought what a great chance to check them out! Cafe Plenty is located just around the corner from New England House at the bottom of the hill. It’s a stylish new cafe that provides a creative space for people to work, network and of course eat great food. Cafe Plenty make all of their fresh sandwiches with bread baked from their in-house micro-bakery, and they provide an array of hot and cold food along with some beautifully crafted cakes. 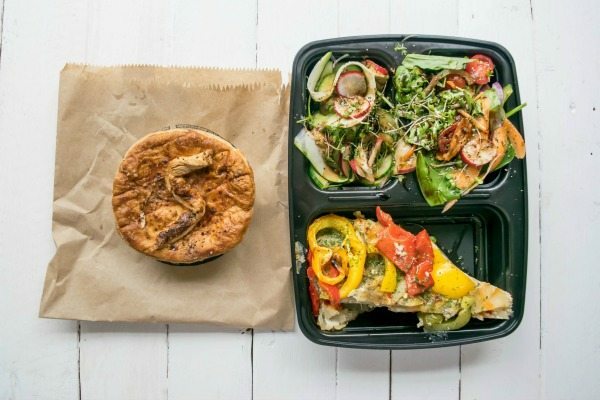 When I went to collect my TGTG order it was actually made up for me then and there, so the salad and avocado salad was fresh, the slice of tortilla was generous and on top of all of this amazing looking food I was given a savoury pie of my choice! All for just £3! There just aren’t enough exclamation marks to do justice to that price tag. Cafe Plenty will be seeing a lot more of me with its fresh flavours and generous portions. Oh, and sitting inside the venue is welcomed. My final TGTG experience was at the stylish little Netherland inspired cafe; Eten and Drinken, which is on the corner of Jew Street in the heart of Brighton’s North Laine. It serves quality coffee, sandwiches, breakfasts, Dutch specials, and bakes & cakes, which are all made on site. It’s got some outside seating, if you get there early enough, collection times are from 15:30-16:00. For £2.50 I received one of their “Dordrecht” sandwiches which consists of chicken, chorizo, mozzarella and rocket which had all been packed inside some delicious sourdough bread. It was pretty tasty, and based on that sandwich I would be interested to try another one for sure! Overall, my experience with Too Good To Go was all round (really) GOOD! The app’s smartphone interface itself was easy as pie, it was reliable, and it gave me a good end product. I will be using this app in the future, revisiting places and trying new ones out. 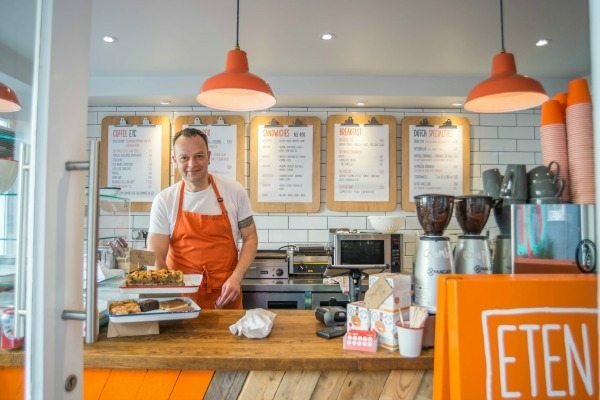 I’m excited for TGTG’s future in Brighton and to see what other venues will get on board with helping to minimise food waste and live more conscientiously.